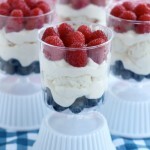 Red, White, and Blue Jello Poke Cake - Dessert Now, Dinner Later! 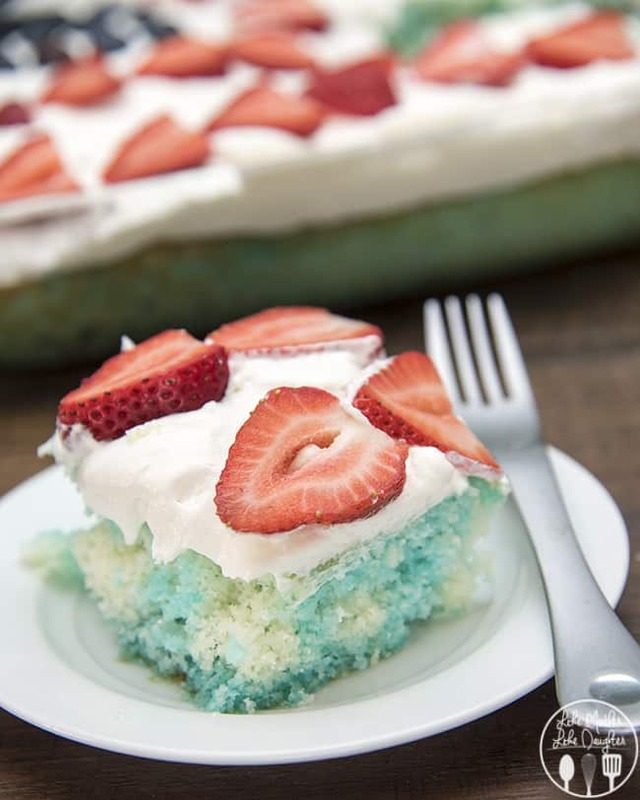 Red strawberries, white cake, and blue jello, come together to create this simple and delicious patriotic Red, White, and Blue Jello Poke Cake perfect for the 4th of July! Hi friends! It’s Aimee from Like Mother, Like Daughter and I’m so happy to be visiting over here while Amber takes some time off to enjoy her new squishy and adorable baby! 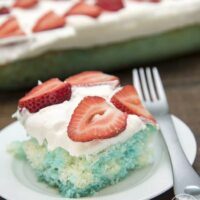 Since Amber is the queen of poke cakes, I knew that the perfect recipe to share with you guys would be a poke cake recipe. And since I’d never made a poke cake before (can you believe it!?) I figured this was the perfect place to start – now I’m never turning back! 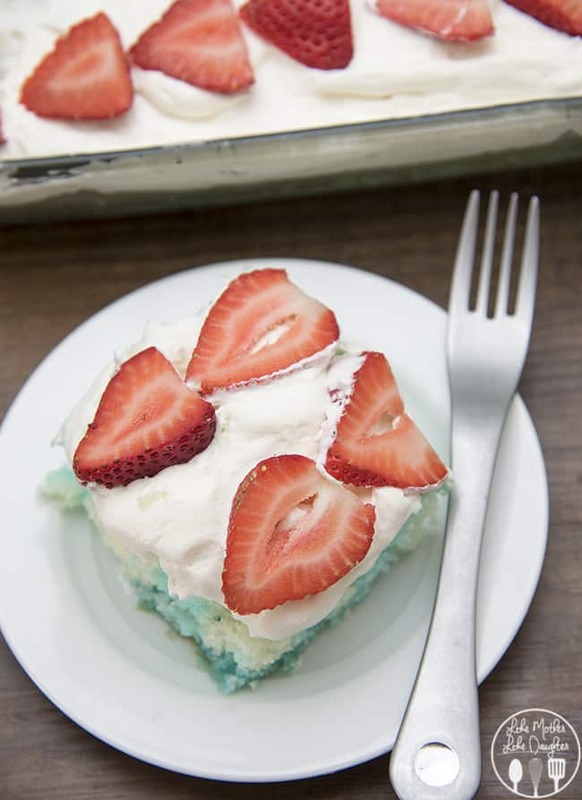 This red, white, and blue jello poke cake couldn’t be easier and it’s the perfect dessert for your upcoming Fourth of July barbecue or party! 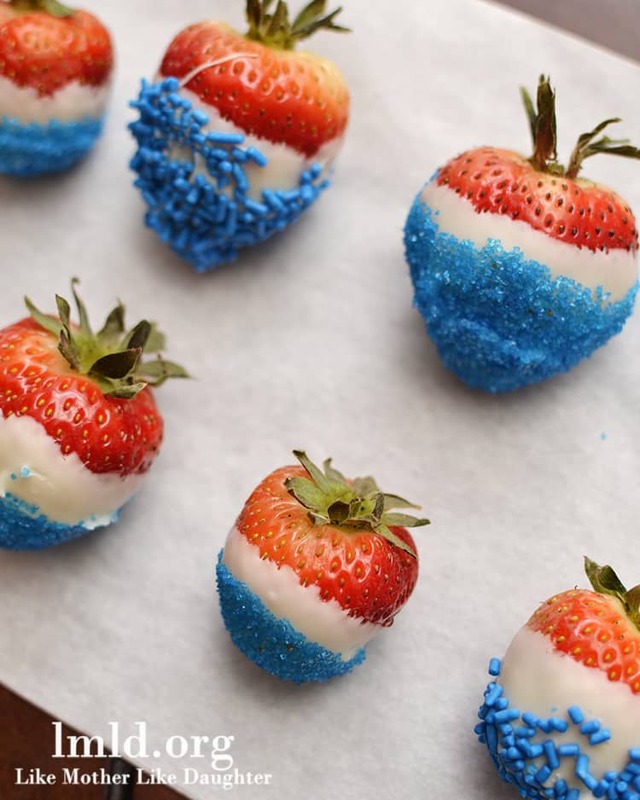 To get the red, white, and blue colors, we start with a white cake mix, blue jello, and top it all with strawberries. 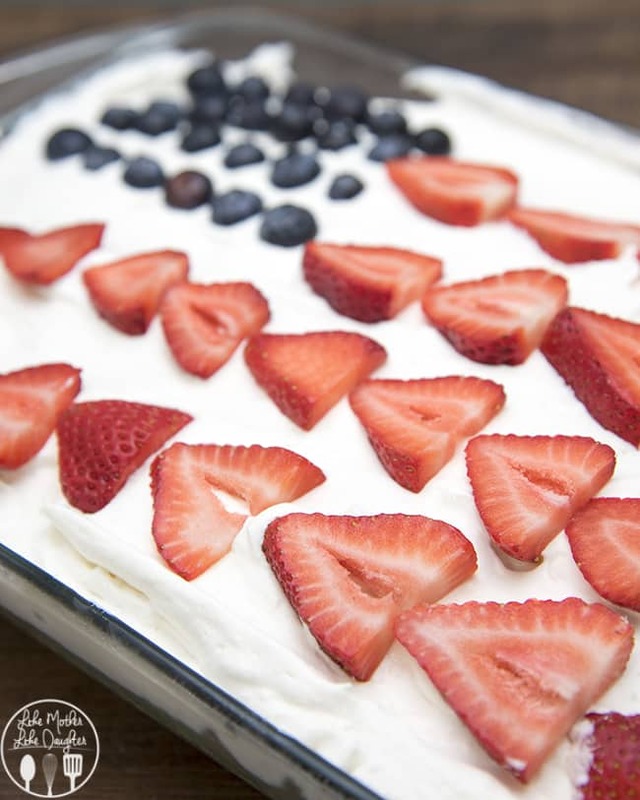 I added a few blueberries too to make the cake into a flag, but that’s optional. 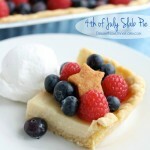 I hope you try this cake for your upcoming 4th of July celebration! Allow cake to cool for about 30 minutes when done baking. Bring 1 cup of water to boil in a small pot over medium heat. Pour in your dry jello mix and stir until dissolved. Add in your remaining ½ cup of water (it should be cold!) and stir. 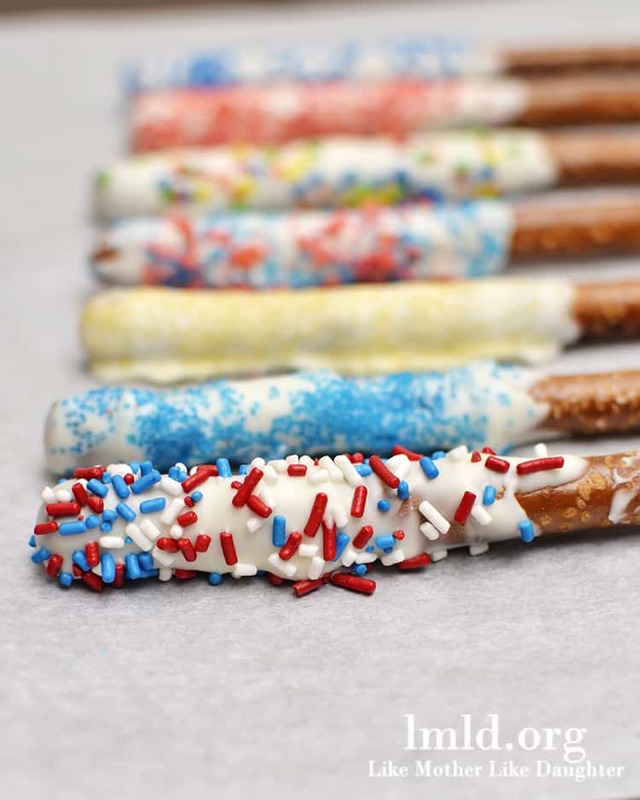 Poke holes into your cake using a fork, and space them about an inch apart. Pour jello evenly over the top of your cake. 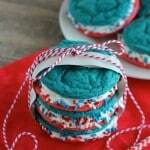 Cover the cake and place it in your fridge for 3 hours. Spread cool whip over the top of your cake evenly. 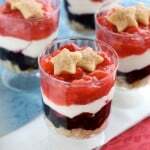 Arrange strawberry slices over the top of your cool whip as desired. Store in fridge for 1 hour before serving. 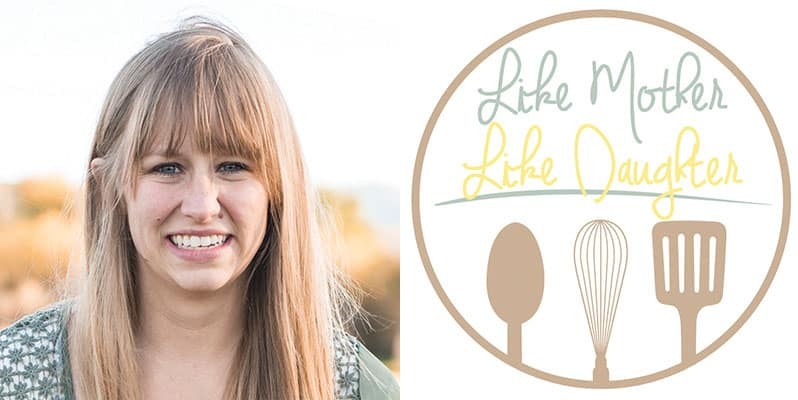 This poke cake is so pretty, Aimee! I love all the festive colors! 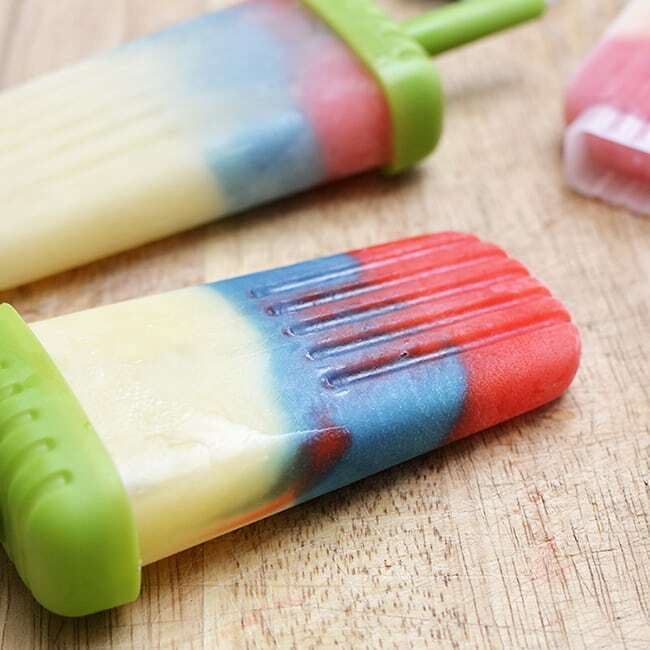 It’s perfect for the 4th of July!